First let’s understand why a Power Bank is a great promotional tool. Technology accessories as giveaways and gifts continue to be very popular and requested often. And Power Banks are at the top of the list. Why? Can you think of any adult person you may know that does not carry at least one mobile device with them at all times? At some point, their mobile device will need to be charged and a wall outlet/or car charger will not be easily accessible or convenient to use. If they have a power bank at hand they are going to use it. If your logo is on that power bank, you and your company have just come to their rescue. What a “powerful” position to be in. Now what happens if that power bank didn’t work?! Whoops. 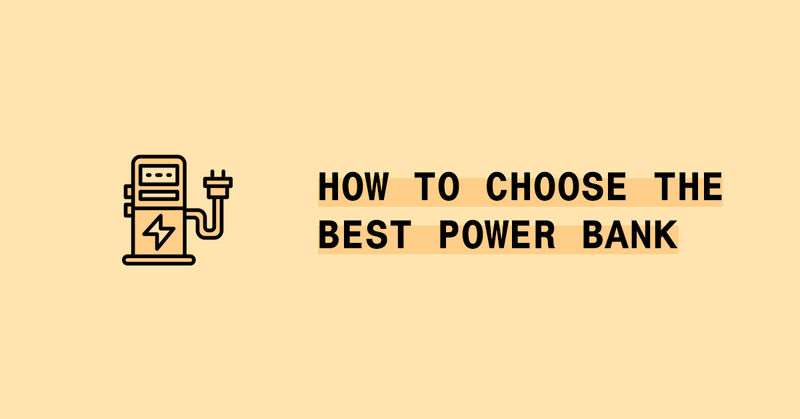 Now, knowing that power banks are not only useful and they can be a great marketing tool, how do you choose? Does it really matter? Yes, because all power banks are not created equal. And here are some of the features that you should consider. UL Certification – Product samples have met safety standards and guidelines set by Underwriters Laboratories. UL standards are set using UL’s own published Standards of Safety. Product testing and certification can be found on UL’s website. If your power bank is UL marked as UL tested or certified it likely isn’t going to spark, catch on fire, cause your device to overheat or explode if you follow all of the safety guidelines. Of course, once you drop your power bank or submerge it in water all of this becomes mute. RoHs Approved – Restriction of Hazardous Substances. This is a certification by the European Union. The European Union has a directive that restricts the use of specific hazardous materials in electrical and electronic products. Guidelines and Compliance can be found on the RoHS Guide website. Why is RoHS compliance important? According to their website “The restricted materials are hazardous to the environment and pollute landfills, and are dangerous in terms of occupational exposure during manufacturing and recycling.” Basically this is piece of mind that you are not wholly harming the environment with your power bank purchase. CE – The CE Mark is the European Union mark that certifies the product has met the health and safety and environment standards set by the European Union to ensure consumer and workplace safety. This stamp allows the product to be bought, sold and used within the European Union. If you are handing your product to an international client this is probably a good mark to see on your power bank. CSA – Canadian Standards Association. The CSA is much like the UL in the United States. It is an independent non-profit association that tests product safety. They are also tasked with enhancing public safety. Many of the standards and requirements of the CSA are the same if not similar to UL standards. Although CSA is not UL they do have offices globally and are aware of safety standards within the United States and European Union. FCC – Federal Communications Commission is an independent agency of the United States Federal Government that oversees regulations of communications by radio, television, satellite and cable. How does this pertain to power banks??? Any device that operates at a clock rate of 9 kHz is required to be tested with the FCC to their appropriate FCC code. How do the above apply to your power bank? Most power banks are manufactured in China. The production facilities in China only have to follow the regulations and standards that are set in China. 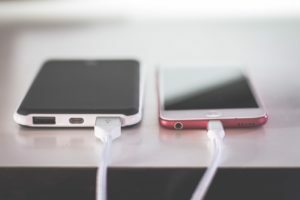 If the power bank you are purchasing does not have one of the above listed marks, there is no guarantee that the power bank has gone through any safety testing or meets any safety standards that are considered acceptable within the US, Europe or Canada. Now knowing this, would you dare plug your mobile phone (that was so many dollars and you cannot function without) into a device without one of these markings? Would you stake your company’s reputation on a product that did not meet some sort of standard or safety regulations? Power banks are measured in mAh…what is that?! Power banks commonly are seen in the following mAh capacities: 2,200, 4,000, 8,000 and 10,000 mAh. When choosing your power bank to give, ask yourself “do I want to be a hero or do I want to be a superhero?” How much power would you like to give? 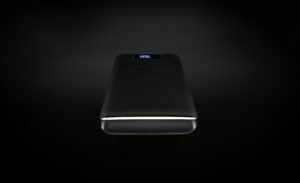 Will the user be using your power bank in a desperate situation when only a few phone calls and text messages need to be sent? Then the 2,200 mAh is the power bank for you. Or would you like the power bank you give to be your client’s “go to” charger? Are you giving the charger to an executive that is out of the office and traveling regularly? If that is the case, then you are going to want to think about increasing the capacity of the power bank. The recipient will be thanking you and your organization when they are at the airport and not standing two people deep and tethered to the charging station at the airport gate. The last factor to consider (and probably the least important) is whether you want your power bank to do anything other than charge. All power banks are essentially designed for specifically one task — to charge (which they should because that is what they are meant to do.) For the “multi-taskers” out there, there are power banks that can do more. There are power banks that have flashlights; some are attached to blue tooth speakers, Bluetooth ear buds and the newest capability, wireless charging. My favorites are higher powered versions that come with automobile jumper cable attachments. Of course the more tasks required = more power capacity needed.